What Tools & Tech Should Make Up Your Martech Stack? Let’s get real. Every marketer on the planet is overwhelmed by the number and variety of marketing technology tools available today. What are the best automation platforms? 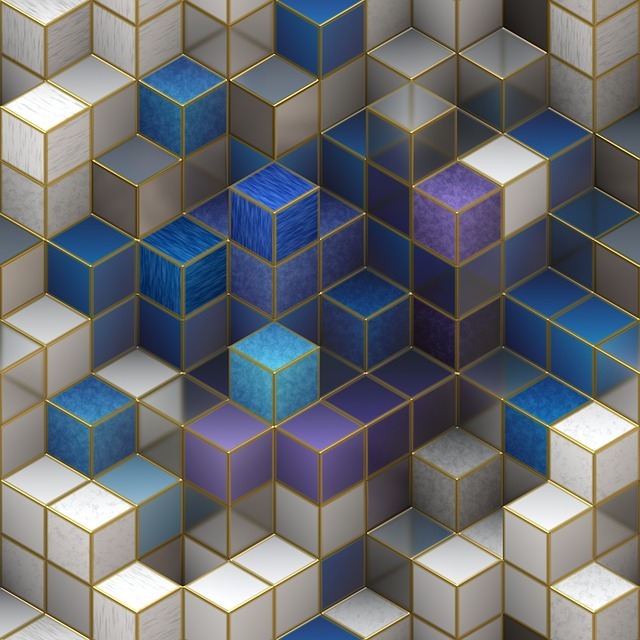 How smart are your prescriptive analytics? Are you using the right technology to increase the impact of your organization’s social media campaigns? Did you know AI can already do that too? 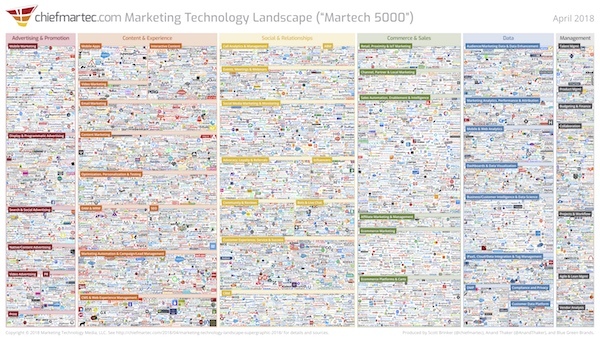 You’ve probably heard of the infamous Martech 5000 Supergraphic – which represents the thousands of marketing technology companies out there, each contributing one or more martech tools to the landscape. And that was last year. Guaranteed, there are hundreds more today. So, in order to get a handle of all this often gamechanging technology, without getting lost in the landscape, here’s a look at how to get started and some of the most essential tools to have in your martech stack. Your martech stack is how you have your marketing technology tools organized, or stacked, together. Ideally, instead of adopting another marketing tool every few months, no matter how exciting or innovative each new app you hear about is, you have a strategic approach to your use of technology. Each platform or program should complement or support the others so that everyone in marketing, as well as in your sales, finance, and other departments, is always on the same page. Having a well thought out stack offers the benefits of each piece of technology, but it also helps to streamline communications throughout your organization. This will keep goals aligned and focused. Boston, MA – Searching the most recent Marketing Technology Landscape graphic for a promotion hub solution, Demand Gen Marketer Nicole Dunshire was repeatedly blocked and lured by other devious martech landscape graphics. Impeding her progress by continually taunting “Look at how many there are!” and “Come this way! I’ll show you more maps!”, the marketing technology maps led Nicole not to the right promotion hub solution for her but to a state of increased confusion, fatigue, and cloudy indecision. They seemed to enjoy it, those martech landscape graphics. Or so a possible post at The Onion may go if its subject was niche enough to cover the trenches of modern marketing technologies. Because, have you noticed? 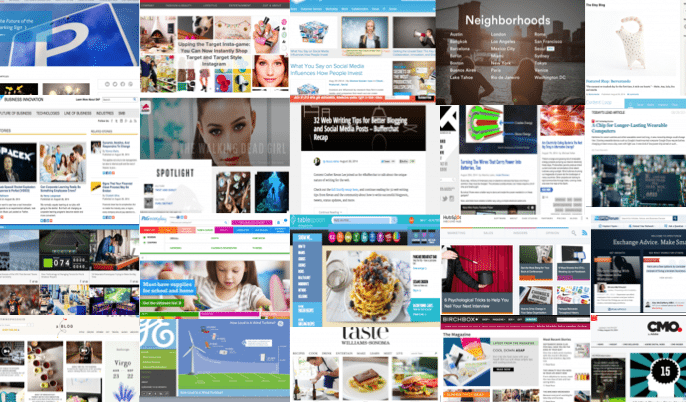 There’s, like, a lot of marketing technology out there. 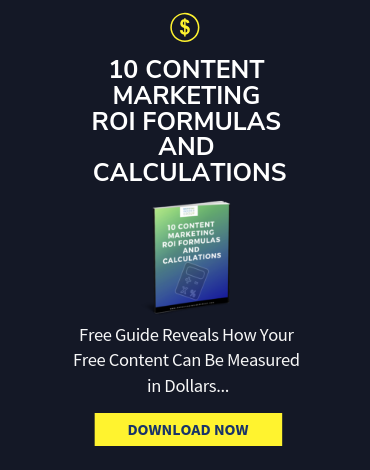 Not only is there a veritable explosion of marketing technologies to explore and identify, there seems to be an equal size explosion of illustrative graphics pointing out that, yes, indeed, there’s a great number. A tricky read, right? But, exactly. You can zoom in a few times here to make out the logos in each category, but you get the idea – there are so many! 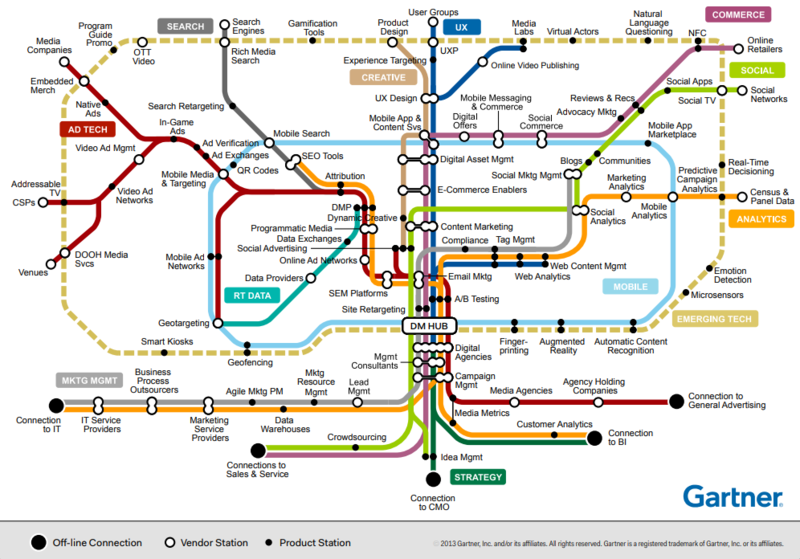 Finding your way around the London Underground or Paris Metro can be a daunting task in person, and displaying martech stack tools in the same format compares to the circuitous environment. I think you take the Gold Line from Product Design, then switch to the Baby Blue Line to ride around Web Ops for a while, then three stops on Yellow Analytics and you end up… closing your laptop. We are all at the center, like the sun – that white dot. And these various branches orbit cyclically around us collecting energy to power our… wristwatches – I mean marketing campaigns. But we need these graphics! Gartner reported that 71% of marketing leaders have a dedicated budget for innovation. With more budget for investing in new approaches and services, marketers do have a wide variety of options to pursue, and not every option is right for every marketing department. So, before immediately turning outwardly to begin the search, or hitting panic buttons with choice paralysis, be sure to look inwardly first. The first step to finding the right marketing tool is to know exactly what the specific problem is you’re looking to solve. Whether it be production scalability, web analytics, lead generation, brand promotion, or smaller fragments within those categories, you should be able to say “we need a technology that does x,” and then go find that solution. Before looking at layering on a bunch of complicated technology, make sure you’re solid on the basics. A successful marketing program needs marketing automation, customer relationship management, a content management system (website), and some kind of analytics platform. Beyond that, it becomes about how your technology enables you to serve your prospects and customers better. Whether that means delivering better experiences, helping sales have more relevant conversations, or serving up context-based content, technology can help you. If you’re re-evaluating your whole martech stack, or think you’re missing a key component but can’t put your finger on it, look to real examples of other companies’ martech stacks. Reach out to partner companies or browse through sites like G2Crowd.com to get insight into how one specific marketing department leverages technology compared to others. 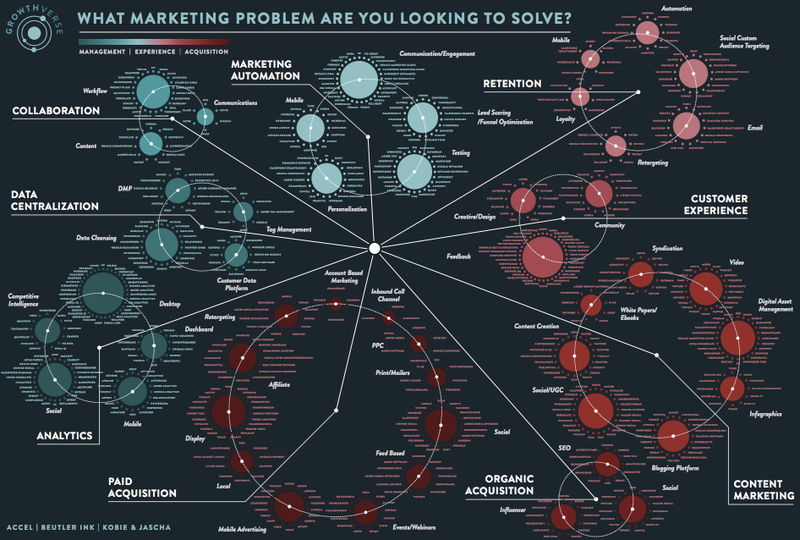 Also noteworthy, our friends over at Uberflip created a handy tool to identify marketing technology gaps. 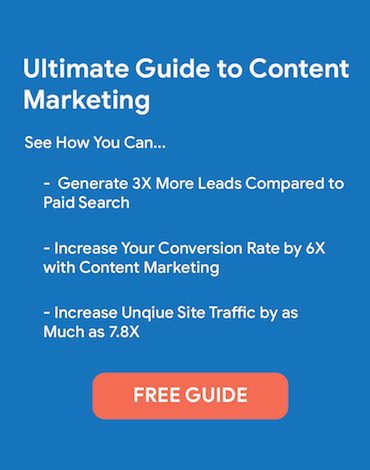 What Are Your Marketing Stack Needs? First, what types of martech tools do you need to have? Just because there are some really exciting tools for gamification, data visualization, chat, the list is endless, it doesn’t mean you need to use them all. On the other side of the coin, if you are looking for ways to take your engagement levels through the roof, by all means, dive into interactive martech tools. Need to understand trends and use this information to better convey marketing needs to the rest of your organization? Make DataHero your hero. 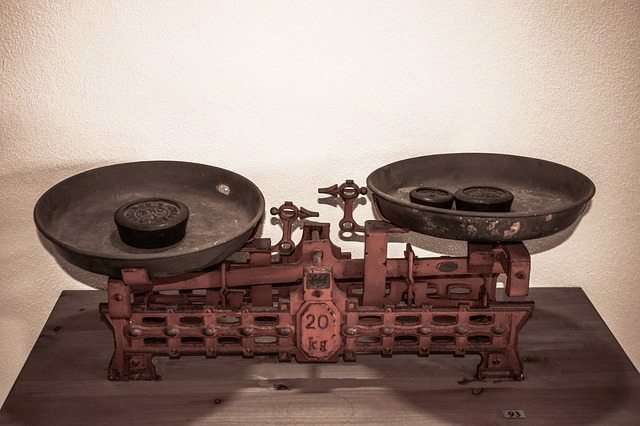 The trick is to find the balance between what technology your organization needs to achieve goals and where your martech stack is getting out of control. The problem is, with too many tools, you have to spread your resources thin to master each platform. It is also easy to go from having a well-organized stack with in-sync components, to wobbly chaos. It will take some trial and error – and fortunately a lot of tools offer a trial period exactly for this reason. 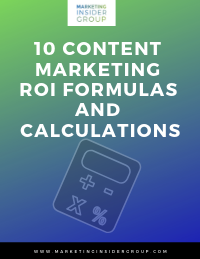 But once you figure out which content management system, SaaS platforms, analytics software, social media tools and more are right for your organization, it will be ultra-smooth sailing and you’ll have officially entered into the martech marketing era. Depending on factors like business size and marketing strategy, every company’s martech stack is going to be unique. But, these are the basic building blocks you’ll likely want in yours. This is where a lot of small businesses start with their marketing tools. Once you get your digital face to the world up and running, step two is to find out who, how many, when, from where and why people are paying attention to your brand and to track your web analytics as they change over time. Google Analytics can make up the web analytics ‘block’ of your stack by itself. Your CMS is your central control station for content publishing. Upload, schedule, edit and make sure your web content is meeting your marketing strategy’s needs. WordPress is probably good for you; it being the most commonly used content management system. Your CRM is where you track and manage your interactions with your customers. It plays a central role in both lead nurturing and customer retention and ideally will be able to grow and evolve as your business grows. Depending on which CRM you use, it may encompass or integrate with a number of your other martech needs, such as your email marketing and sales software. There are dozens (and dozens) of excellent customer relationship management platforms available, from small to mid-sized business solutions like HubSpot and Pipedrive to enterprise level behemoths like Salesforce. You can get a real-time look at the top rated CRM options for your martech stack here. Marketing automation plays a major role in any strategy. Automation tools will help you streamline your processes and improve customer experience with better personalization. In a multi-channel marketing world, you’ll need a solid automation platform – and the ability to use it well – to navigate hyper personalization and to deliver what customers want across the board. 81 percent of consumers say they want brands to better understand them and when the right time is to approach them or to leave them alone. If you don’t already have marketing automation tools in your martech stack, here’s a guide to get you started. 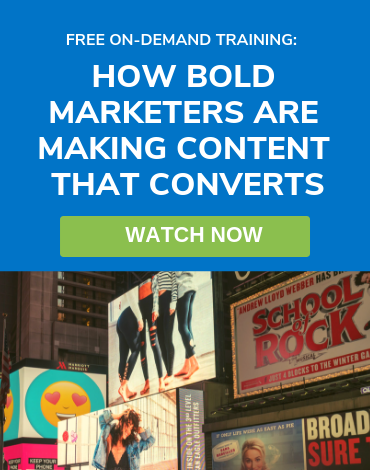 Email marketing – as ‘old school’ as it is in the digital marketing landscape – is still the core of how your brand stays connected with leads and customers. You may want to use an email marketing platform that doubles as your automation software, like MailChimp or Infusionsoft. Or, something more email specific, and approachable for small businesses, like Constant Contact or GetResponse, which will still integrate with your CRM and automation software. And the last essential, which can turn out to be a tech stack of its own – social media. What tools are you using to manage and track your social media campaigns? 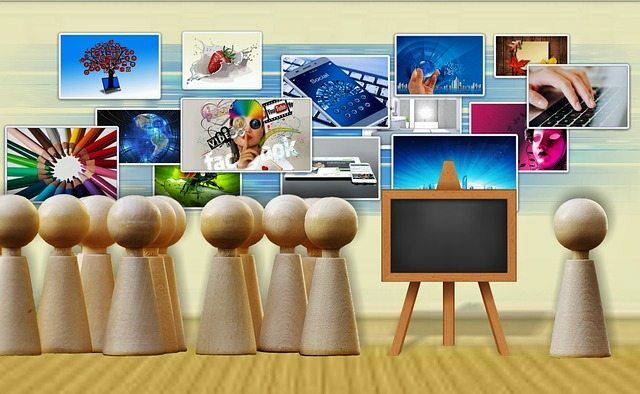 With social media marketing technology, there are a range of tools you may want to include. Marketing technology allows you to do more in each area of marketing. You can make smarter decisions, create better experiences, and save a lot of time on tasks that technology can do for you. Start your stack with the essentials and grow from there if you need to. When you need more, from a dedicated personalization platform to an AI-driven content creator, make your stack a little taller one block at a time. And keep experimenting. And when you get to that sweet spot where you feel like you’ve mastered your stack and you have everything you need to create and implement brilliant digital marketing strategies until the end of time, never fear, marketing technology will evolve again and your entire stack will become obsolete. Then you can build again. 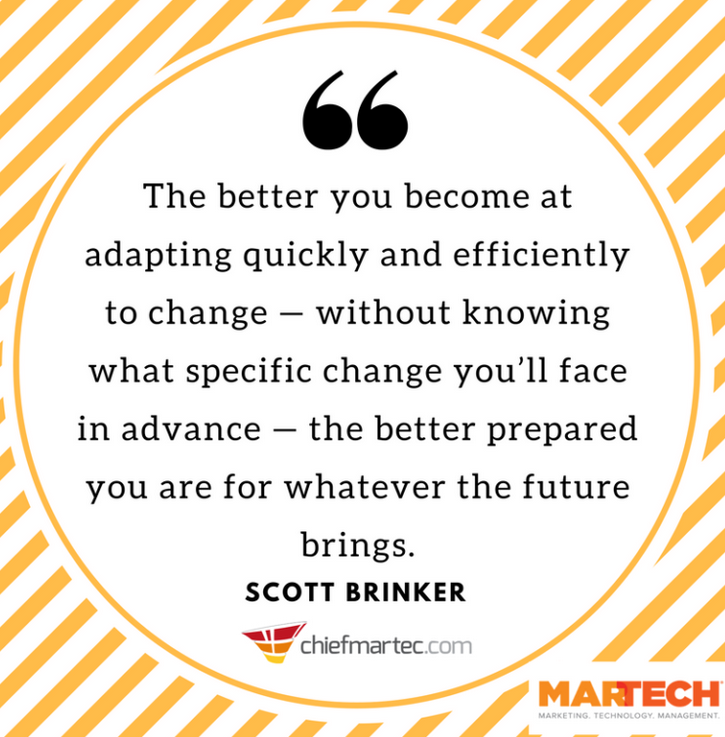 Navigating the current martech experience seem overwhelming, but it is key to remember all these tools are designed to make life better for marketers not worse.So instead freezing in the headlights at the prospect of finding new technology solutions, get excited about it! Think of what you’re doing well and see what’s out there can make you doing better. Consider what your weaknesses and pinpoint exactly where they need improvement and then go forth in search of that specific platform – and make sure it really addresses your need and not just kind of addresses it.